President Barack Obama has arrived in India for a historic visit as the first American leader to attend the country’s Republic Day ceremony. 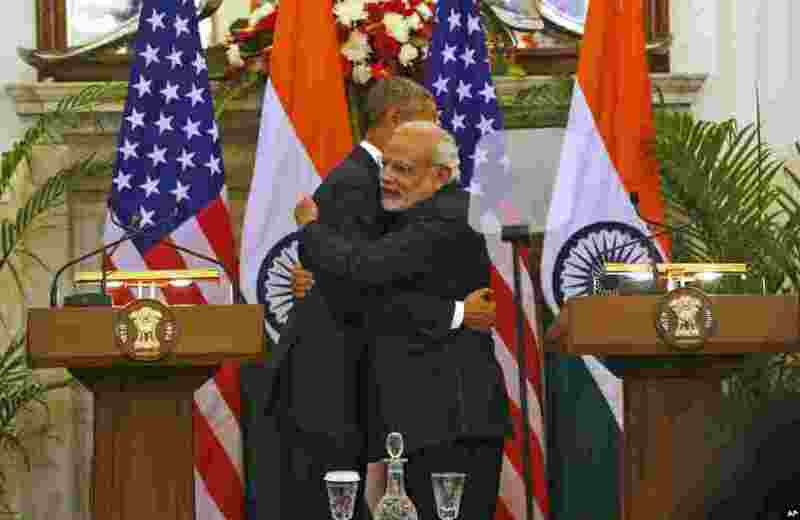 1 U.S. President Barack Obama and Indian Prime Minister Narendra Modi hug after they jointly addressed the media after their talks in New Delhi, India, Jan. 25, 2015. 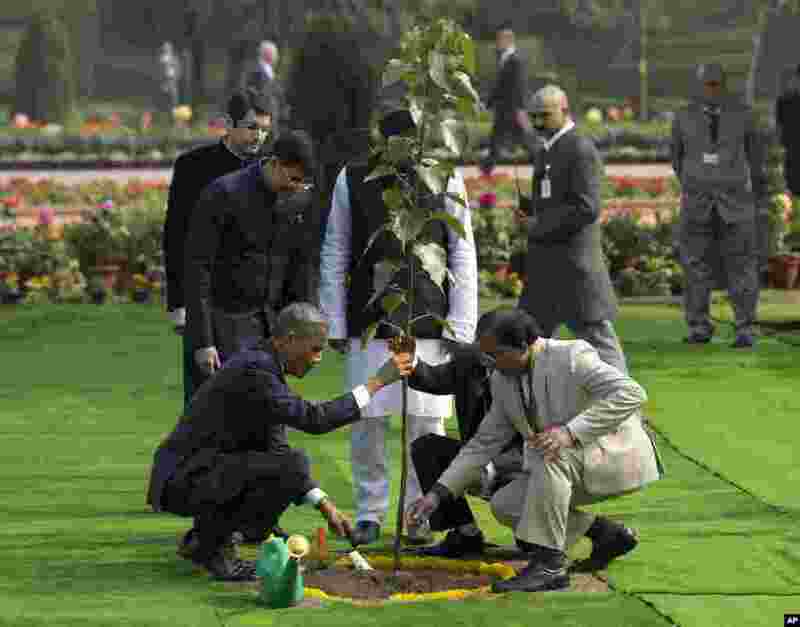 2 President Barack Obama, left, participates in a tree planting ceremony at the Raj Ghat Mahatma Gandhi Memorial, New Delhi, India, Jan. 25, 2015. 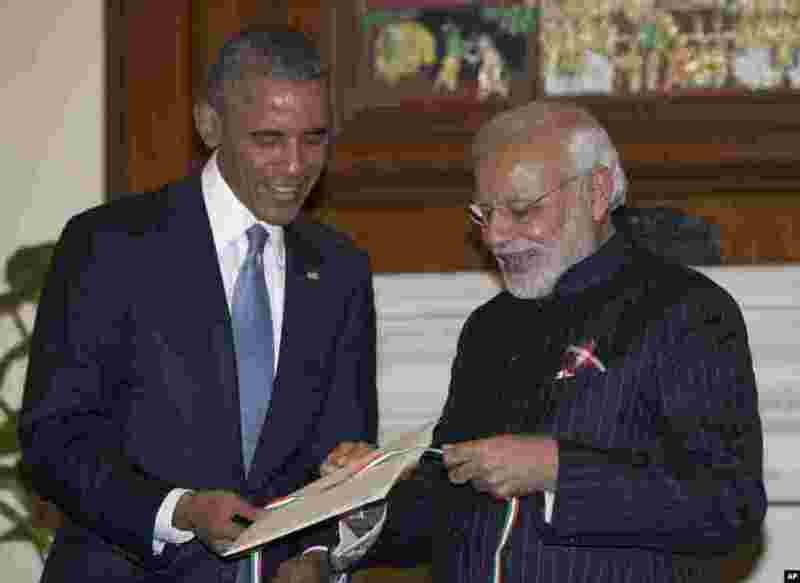 3 Indian Prime Minister Narendra Modi, right, gives President Barack Obama a copy of a 1950 telegram from Secretary of State Dean Acheson to the head of India's constitutional assembly, as they meet at the Hyderabad House in New Delhi, Jan. 25, 2015. 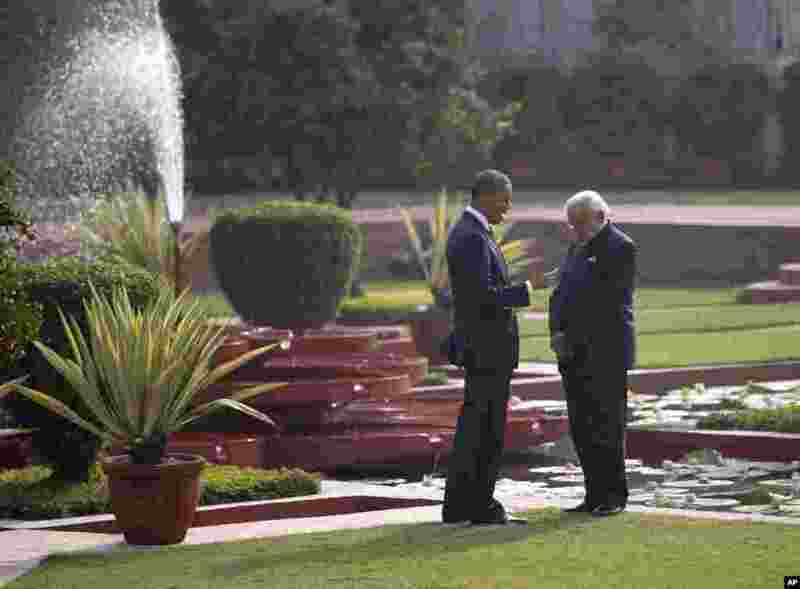 4 President Barack Obama and Indian Prime Minister Narendra Modi talk in the gardens of the Hyderabad House in New Delhi, Jan. 25, 2015.